Nevertheless, BURSA KL Trading could be volatile as such selected markets Singapore, Hong Kong and in the US by buying interest in selected heavyweights. Malaysia: Bursa Malaysia rebounded to open higher today, lifted by buying interest in selected heavyweights, dealers said. At 9.05 am, the benchmark FTSE Bursa Malaysia KLCI (FBM KLCI) was trading at 1,858.37, up 2.02 points from Thursday’s close of 1,856.35 . The key index opened 3.02 points higher at 1,859.37. Market breadth was positive with 127 gainers against 59 losers, while 135 counters were unchanged, 1,591 untraded and 57 others suspended. Turnover stood at 72.15 million shares worth RM26.52 million. Public Investment Bank Bhd said the FBM KLCI opened higher after US stocks staged a rally on Thursday with the S&P 500 climbing 1.4 per cent and the Nasdaq Composite advancing 1.6 per cent. The Dow Jones Industrial Average rose 1.2 per cent. Meanwhile, Maybank Kim Eng Research said the overnight rally on US markets should lend support to the local bourse. 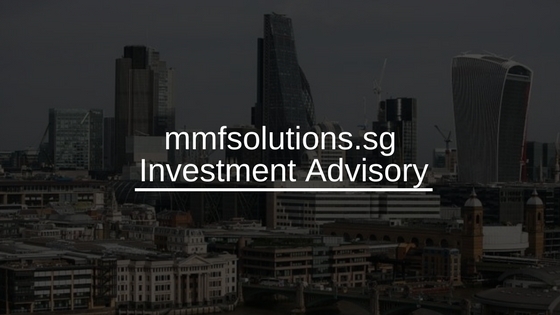 “Nevertheless, trading could be volatile in the afternoon, as selected markets such as Singapore, Hong Kong and in the US are closed for the Good Friday holiday. “Technically, we expect the FBM KLCI to trade between 1,850 and 1,870 today. Downside supports are at 1,834 and 1,812,” it said in a research note. Among heavyweights, Maybank was flat at RM10.52, Public Bank added two sen to RM24.02, CIMB rose three sen to RM7.19 and Petronas Chemicals gained one sen to RM8.16. Tenaga was down six sen to RM16.10. For other actives, Sapura Energy and SKH each rose half-a-sen to 51 and 9.5 sen respectively, while Comfort Gloves dipped seven sen to RM1.02. Of the top gainers, Nestle surged RM1.00 to RM152.00, BAT improved 34 sen to RM26.64 and Lotte Chemical Titan gained 10 sen to RM6.20. The FBM Emas Index rose 13.31 points to 12,998.82, the FBMT 100 Index was 14.00 points better at 12,799.68 and the FBM Emas Shariah Index improved 9.35 points to 13,171.99. The FBM 70 increased 17.38 points to 15,492.825 and the FBM Ace was 25.99 points higher at 5,399.12. Sector-wise, the Finance Index inched up 21.27 points to 18,156.45, the Industrial Index increased 1.52 points to 3,228.14.But, the Plantation Index eased 1.84 points to 7,983.71.